We are proud to say we are a UK sportswear manufacturer and have been a specialist football kit manufacturer for over 30 years. MG Sportswear give football teams the unique opportunity to create their own football kit. You can select and adapt designs, change the collar, choose the fabric and create your own individual colour combinations. 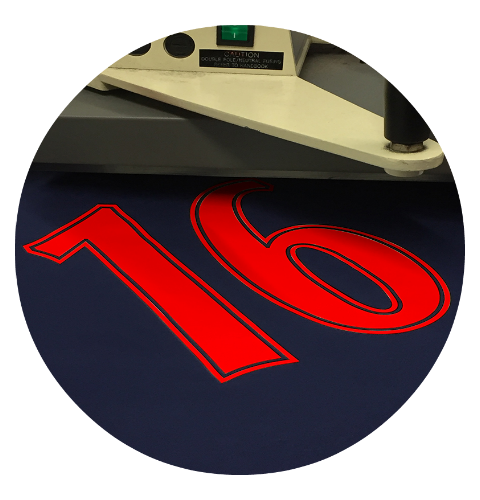 Essential for all playing kit in addition to our standard numbers in black and white we also offer our bespoke cut numbers that are available in the full range of colours. A sponsor can help make your new kit affordable with a creative advertising platform for them. We can take an artwork and transform it into a garment print in single or multi-colour design. We can add team names, players’ names and initials on to football kit, training wear and rainwear. We can take your existing artwork and digitize it into our own embroidered logo in 48 hours. Your logo can then be embroidered on any garment for a high quality, durable finish. We can personalise a selection of items and garments with embroidered names or initials. 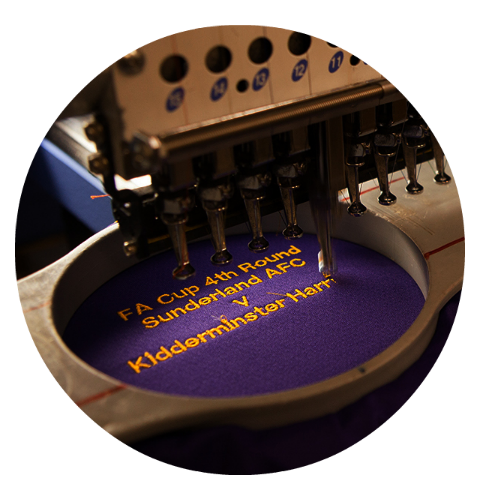 Embroidery costs are based around the stitch count of your design, prices start at £2.50 for an average logo. 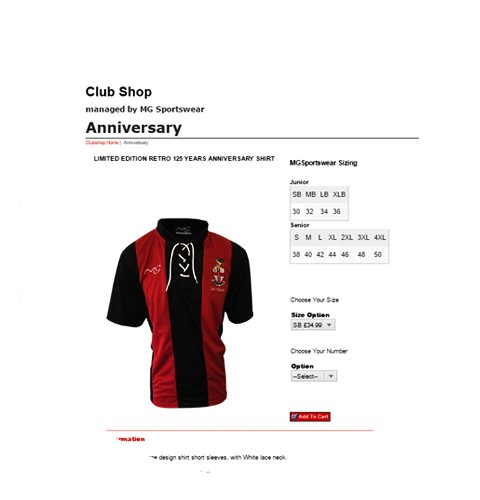 A dedicated club shop makes it easy for your managers, players or parents to order kit, training wear and accessories. individual or group purchases ordering is available. 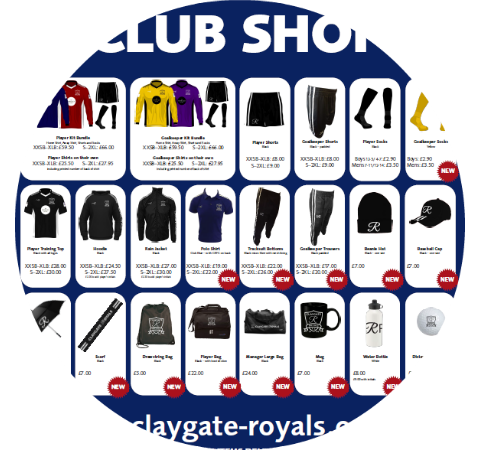 Select the range of products you want to provide and we can load them on to your personalised club shop with prices and size options. Customers can purchase using our secure online payment gateway. Talk to us about how the shop can offer an additional revenue stream for your club with commission earned on orders. Purchases can be sent direct to customers for an additional carriage charge or we can arrange click and collect option if your club has a central location to pick up from. Hello, Just a note to thank you so much for your amazing service!! I received the rain jacket this morning and bearing in mind I only ordered it yesterday and had it initialled too I am pretty gobsmacked to have received it so quickly. Gino was a pleasure to deal with too couldn't do enough to assist. With very many thanks, Frankie will be thrilled with his new jacket for training tomorrow. Kind regards. MG Sportswear has supplied Withymoor Colts with their unique kit for well over 10 years. Relationships between the club and MG have gone from strength to strength as MG have been able to offer the club more in terms of training equipment and top of the range clothing. I recommend MG Sportswear to any football club for a genuine no nonsense deal! 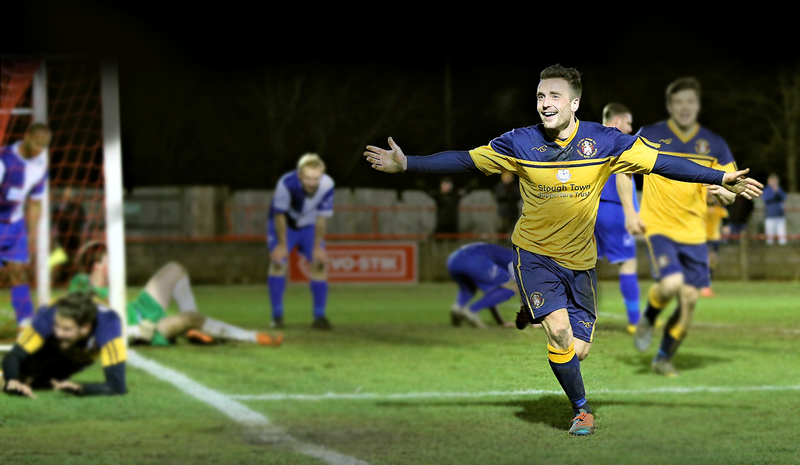 "As a club we were looking for a supplier who could replicate our existing kit and ensure that this would be around for years to come, MG Sportswear have been able to meet our requirements with there Identi-kit range and we now have the same kit throughout the club. Our requirements are never to big for MG Sportswear and they have always delivered within agreed timescale. it off the pitch with our range of bespoke teamwear. and more can be co-ordinated to suit your club colours and individual style.